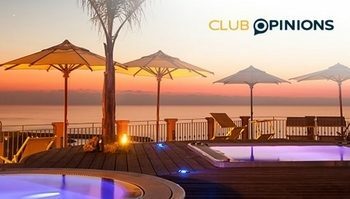 Le Club AccorHotels, the loyalty programme for Sofitel, Novotel, Ibis, Mercure, M Gallery and other brands, has launched a new ‘opinion panel’ scheme called ClubOpinions. The first bit of good news is that this is totally separate to other online research panels, such as eRewards, and so everyone qualifies to join. You will need a Le Club AccorHotels account first, of course. The second bit of good news is that there is a decent sign-up bonus. What this means is that you will be offered regular online surveys which will earn you 25 – 50 Le Club AccorHotels points for completing them. The points will be deposited into your Accor account within 5 days of completing a survey – you don’t need to build up to a minimum threshold. This isn’t an incredibly generous earning rate given that Accor points are worth 2 Eurocents each. However, the surveys are mobile responsive and so you could do them on the train in the morning if you choose! If you have Accor Silver, Gold or Platinum status, you will receive 500 Accor points for signing up and completing your first survey. 500 Accor points are worth €10 off a future Accor stay. If your account is set up to transfer points directly into Avios in Iberia Plus, you would receive 500 Avios instead. If you do not have Accor status, you will receive 250 Accor points for signing up and completing your first survey. If you have an Accor account, it is worth signing up and doing one survey to get the bonus. You can then decide if the surveys are worth doing on a regular basis. The link to join, if you are a UK resident, is here. German residents can also join via this link – you get a higher bonus of 600 / 300 points! US residents can use this link and also receive 600 / 300 points for signing up. PS. Whilst – according to scheme rules – you need to complete one Accor stay every 12 months to keep your points balance alive, historically any Accor earning has worked. It is possible that earning points via ClubOpinions will keep your Accor account intact which is an extra reason to join. Eventually the activation account email came through an hour later, 250 pts earnt already. Does the old trick still work to push through any amount of accor points to IB? So I did this the other day. Points have posted and they have indeed reset the expiry clock. I only did it as I needed less than 500 points to trigger my next €40 voucher. Far too much time for the rewards on offer after this but handy to get over a threshold or reset the clock. I nearly lost the will to live completing their profile. Quick it is not. And why do Germans and Americans get more points? Really had enough of this. And yet, more profile questions when you click for first survey. I can imagine Accor is earning mightily for each one of us that signs up, given the depth of the data that is being hoovered up for pathetic 500 points. And don’t say you work in IT. If you do you’ll get pages of additional questions. Good heavens they’ve even asked the name of the company I work for. And the title on my company business card. Cheeky *****ers. I have a horrible feeling I am going to get shed-loads of junk mail from this. But I did “sussessfully” complete a survey. I didn’t think they did vouchers any more? Interesting, where are you seeing expiry clock? My account just shows Plat, status valid until end of year. For Rewards Points it just says “Valid for life*” with the asterisk then saying “Subject to staying in a participating hotel at least once a year”. I can’t see anything that then shows a points expiry date? Warning: sign up when you are at home. Just had a refusal as my computer was not in the same country as my address. Accor: you are an international hotel chain. Might be an idea for you to get your survey partners to do a better form of verification abuse check on participants given the inherent nature of your customer base. French hotel chain refuses participation to French resident (me) for not living in USA. Really? Are Accor hotels only in America? The usual crap service from this substandard brand and its pitiful web presence. Actually accor are normally one of the best when it comes to opening competitions etc up to people around the world rather than only select markets. I’ve long come to the conclusion it’s not worth spending a lot of my time chasing marginal amounts of points to keep accounts for hotel chains I don’t tend to use alive! So Club Opinions is run by the same people who run the IHG and Avios versions. I believe, in all cases, the loyalty scheme’s only involvement is to provide a list of potential recruits who are attracted by earning points/miles. Behind the scenes, it’s all one and the same. If you’ve had good/bad experiences with IHG/Avios survey schemes then you’re likely to have exactly the same here. It is run by the Rewards for Thoughts people. It is not linked to eRewards. Yep. It’s run by SSI. eRewards is part of the Research Now group. They’re competitors. You’ll have to get cracking with the surveys and get yourself some more points. Joined ClubOpinions yesterday, did first survey, earned the points, and they’re in my LeClub account today with my expiry extended by another year (just in time too), so all working well for me. My wife’s account however – she barely qualifies to take part in any surveys then doesn’t meet the criteria, plus had to do long-winded survey to complete profile. Not as easy there! Where did you see the expiry date extended? I can’t find it in my account. I seem to keep getting an error on the Club Opinions page saying too many redirects. Anyone else had this? I signed up Friday and did not receive activation email, so tried signing up again last night……still no email.